Once again this year Newport (with huge effort from Mike Reddy) hosted a regional Global Game Jam event. This yeartThe theme for this was “Extinction”, but there were also a series of optional achievements. Helpers included: Dr. Mike Reddy, Corrado Morganna and Henry Hoffman (floating artist). 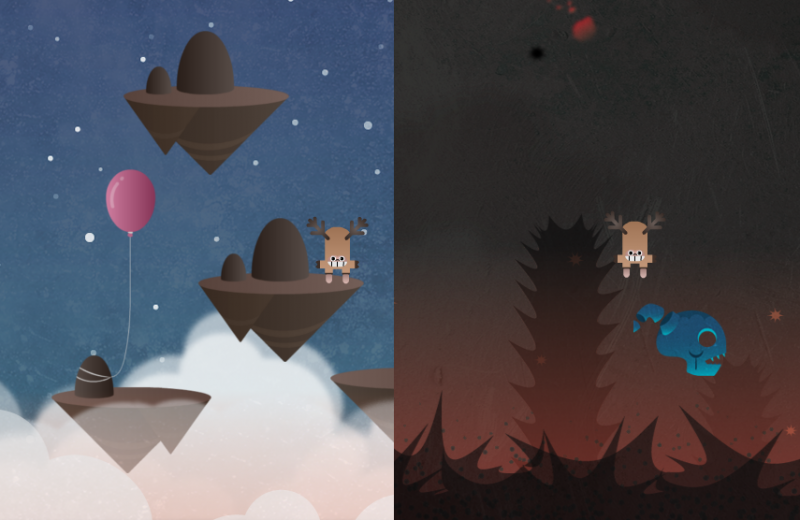 You play as a lost moose trapped between two conflicting worlds. The player must reach the Great Spirit moose in the sky whilst keeping track of both platforms and enemies in the different worlds. 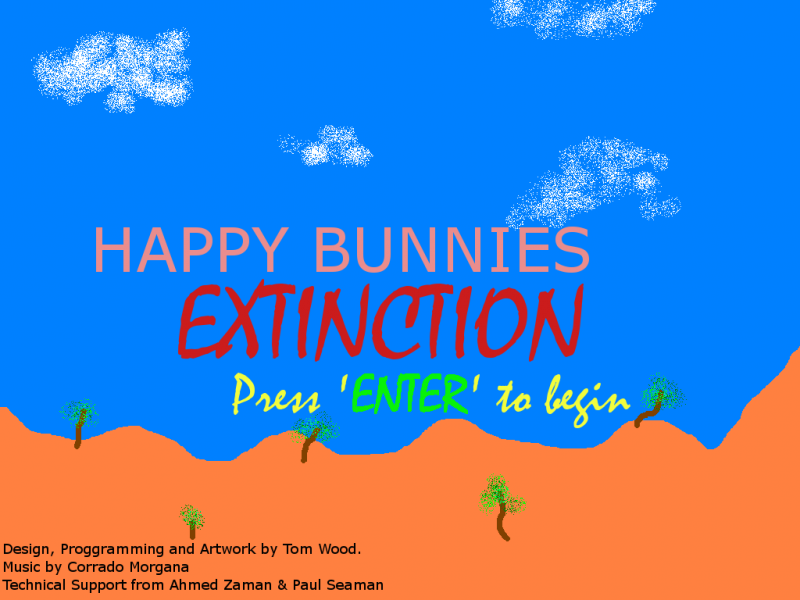 The game is loosely based on ‘Visual Extinction’ which is a neurological disorder characterised by severe impairment in identifying two or more visual stimuli displayed briefly at the same time. The bunnies are multiplying and it is down to you Lava Penguin to stop then by any means necessary. 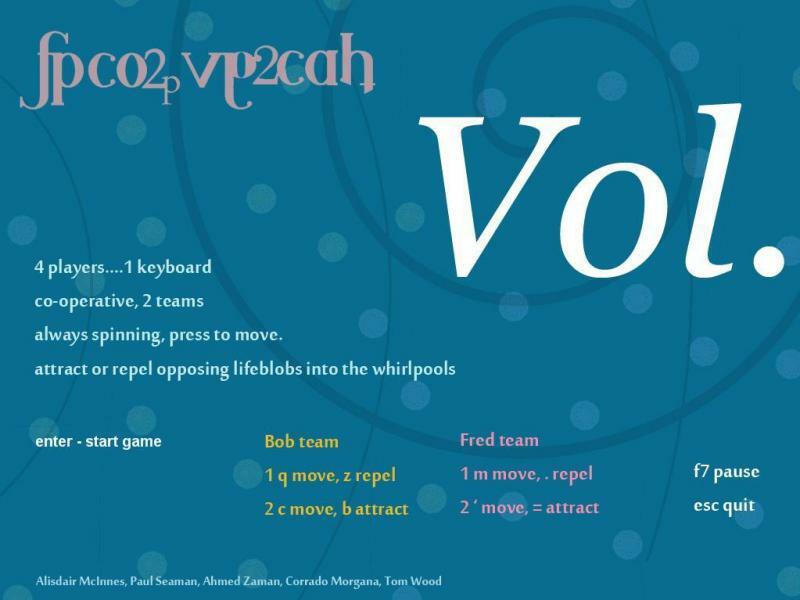 Vol is a four-player, team vs team game played on a single keyboard. Using a simple two key mechanism to move, attack and defend, players either repel or attract lifeforms into on-screen hazards. Wipeout the competition, protect your species. You play as a broken Hero, who couldn’t beat the Final Boss of his game, which in turn ended up killing every human being on the planet, with the exception of you. You had managed to eventually kill the Final Boss, but everyone was already dead, so you; The “Hero”, are the last remaining human being on Earth, forced to live out the remainder of his existence in solitude in your retirement log cabin in the forest.